New Territory: Landscape Photography Today is a survey of contemporary landscape photography from around the world. The exhibition of more than 80 photographs will gauge how artists stretch the boundaries of traditional landscape photography to reflect the environmental attitudes, perceptions, and values of our time. 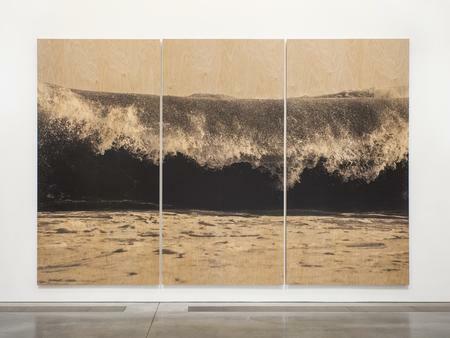 Among the works, the exhibition will feature Clifford Ross's monumental Wood Wave XLIX. More from Denver Art Museum.